This post is powered by Brandbacker in collaboration with Neutrogena. All opinions are my own. It gets so frustrating when people become so obsessed with their summer bodies, or "beach bodies." 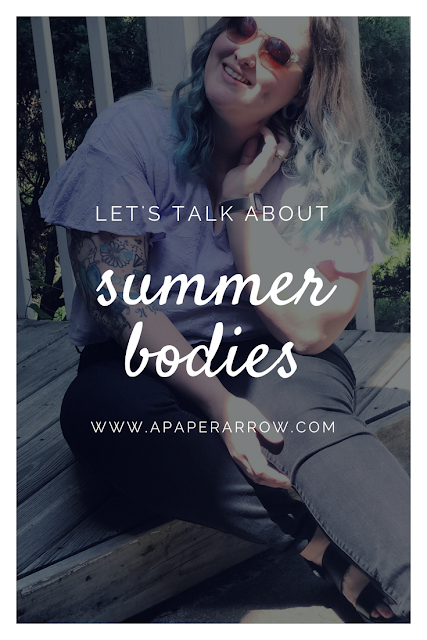 I think we all too often forget what our bodies can do for us - myself included. I see cute clothes or other women and think "wow, I wish I was skinnier" or "man, I wish my thighs didn't touch." And while I don't know if I'll ever love my body 100%, but it's something I try to work on. So, what does that mean? Eating the things I love. It's common knowledge I love Chick-fil-a. Seriously, it's so good. Not to mention my love for burritos (and the free year of burritos I won at Moe's) I'm not going to give those things up just because I'd sometimes like to be thinner. At the same time, I've got to do a better job about not overeating or binging food. I should be mindful of what my body is telling me - so if it says "I'm full," I should pay more attention. Soak in the confidence. There are certainly times when I think about how my body does amazing things and how I'm okay with being plus-size, and I should certainly relish those moments. When I feel so full of love for myself, I should make mental notes about why so I can pull out those thoughts later when I'm feeling a little less in love with myself. Taking care of my skin. 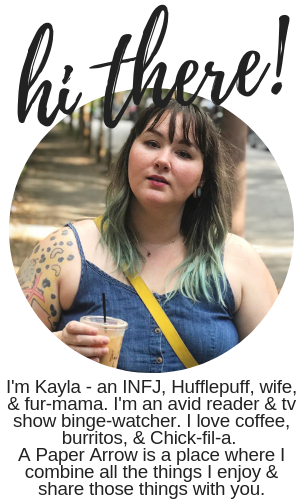 I've had cancer on both sides of my family, and it's something I think about regularly. So protecting my skin from harmful rays is so important. Especially since my pale skin soaks in those sunrays like nobody's business and I end up with a killer burn (and once even sun poisoning) if I don't wear sunscreen. Summer is the perfect time of the year to celebrate all of life's moments outside, whether it's out camping, spending a day by the pool, or even just walking through city shops. Many people don't realize sunscreen should be a basic daily application - but it is so important to protect skin from the sun. NeutrogenaⓇ Hydro Boost water gel lotion sunscreens are great for everyday protection from UVA/UVB rays while also providing vital hydration needs with things like Vitamin E and glycerin. The sunscreen lotion is oil-free and non-comedogenic, and is water resistant for up to 80 minutes, which makes it perfect for swimming or everyday activities. I also love that it comes in SPF 30 and SPF 50, so it takes care of my alabaster skin. NeutrogenaⓇ Hydro Boost water gel lotion sunscreens can be purchased at most national food, drug, and mass merchandisers. 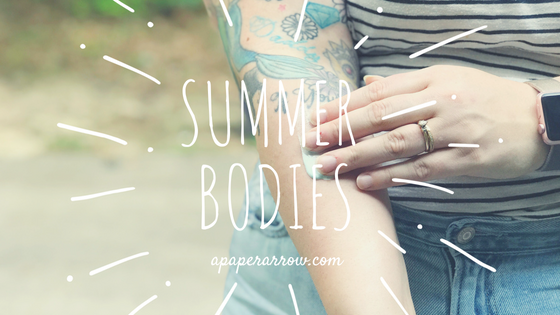 All bodies are summer bodies. Tell me what you love about your own.